This cover design reproduces a gold-tooled goatskin binding created by progressive bookbinding firm Henry T. Wood of London in 1933 for a book of verses. 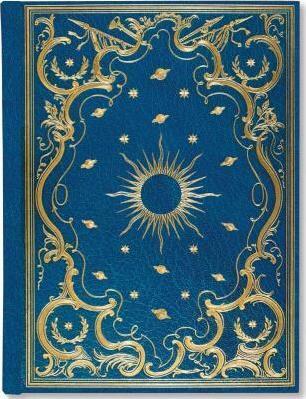 Gold foil, iridescent highlights, embossed, gold gilded edges, ribbon bookmark. Elegant cover treatments enhance the classic art and designs of these handsome journals. 160 lined pages. Hardcover. Acid-free, archival paper.